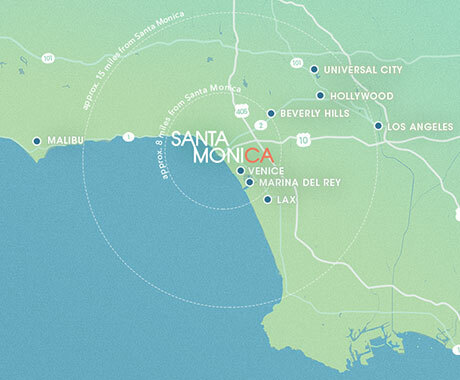 Set near an array of Southern California’s most exciting destinations, Santa Monica is the perfect home base for visitors planning to take a day trip to one (or more). Plus, all regions can be reached via public transportation. Here’s how to make the most of your time at some of the area’s top attractions. What to do: The mile-and-a-half stretch of Sunset Boulevard that passes through West Hollywood, California has been renowned since the 1930s for its glitzy array of nightclubs, music venues, and colorful billboards. 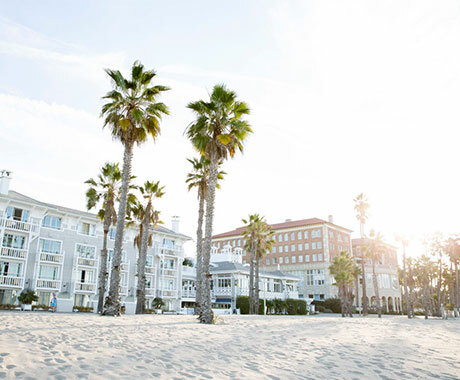 What to do: Options abound for surfing, hiking, or simply soaking up the good vibes in this neighboring oceanside city, home to some of Hollywood’s elite and well loved by locals and visitors alike for its warm, sandy beaches. What to do: This seaside community is home to the world’s largest man-made small-craft harbor and is an ideal port for launching sunset cruises, parasailing trips, or whale watching excursions. Stroll through and check out the 6,500 boats that call the Marina their home while they’re not out traversing the high seas. What to do: Called “the intersection of luxury, fashion, and entertainment,” the three-block stretch of Rodeo Drive between Wilshire and Little Santa Monica Boulevards is world-famous for its high-end shopping. What to do: In 2016, Universal Studios Hollywood welcomed the Wizarding World of Harry Potters and it's not to be missed. Grab a Butterbeer at Hog's Head, pick up your own magic wand to take home or explore the grounds of Hogwarts castle. What to do: Voyage to the Iron Reef features mysterious sea creatures in 3-D animation that riders can shoot to rack up points. Plus, both the classic Calico Mine Ride and Timber Mountain Log Ride are as fun as ever. What to do: Disneyland is home to classic rides like Space Mountain and Small World, but for a special experience, check out one the Disneyland After Dark nights, which feature after-hours park access, specialty entertainment, and more, all revolving around different themes like super hero night and '90s night.